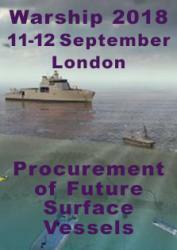 Click on the link to see prices or to order a copy of the Warship 2017: Naval Submarines & UUVs conference proceedings. The Warship 2017: Naval Submarines and UUVs International Conference papers are available in either printed or CD-ROM format. The CD-ROM version also contains the speakers Powerpoint presentation.